Drone technology has made considerable advances since the last Mediatech Africa in 2017. According to Mediatech trade show director, Simon Robinson, drone technology is a powerful tool for many sectors of the economy but it’s undeniably disrupting and drastically altering the events, media, and film-making industries. When it comes to events, drones have already had an impact on event surveillance and on film and photography, but Disney has gone a step further and is putting drones to work on entertainment. The company has filed for several drone patents – all focused on entertainment. It’s also been reported that synchronized light shows, floating projection screens, and drone puppeteers have all been considered by the entertainment giant. As drone technology evolves at blinding speed, the question to ask is, what new horizons will they take the industry to? When it comes to drone technology, Mediatech exhibitor, Timeslice Cinematography, is recognised as a trail blazing company and is best known for its ability to cater for feature films and TVC’s – where precision flying and heavier 4K to 8K cameras with PL mounting are required. 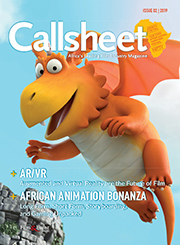 A company that has celebrated many firsts in the South African market and continues to demonstrate authority in this arena – Screen Africa spoke to Timeslice SA director, Jono O’Connell to gather insights into this accelerating technology. The past two years have been significant and markedly good for the drone industry both locally and internationally, with several drone technologies disrupting the drone market and much technological advancement achieved. We are now at a point where drones are faster, safer and easier to use – and far smarter. Battery technology has also come a long way; improved flight time capabilities are a notable improvement. From a safety perspective lithium polymer batteries are now housed in rigid casings, which makes handling and transportation of these batteries less dangerous. Today’s drones also have avoidance collision. Drones that are really easy to fly are now on the market and they have a greater ability to fly fast and far and range has improved dramatically. Consumer drones can easily fly up to 4kms away – which allows us to get to places we were never able to reach previously. Is there a cost benefit to using drones in filmmaking? With the cost reduction of drones over the last two years, and the advances in technology, opportunities, accessibility and capabilities have been greatly enhanced for many through the opening of this new platform. Very little capital outlay is needed to buy into the world of drones, so whether you’re in the film industry, or just a home movie maker, drones are now widely accessible. An aspiring music video producer, or budding film maker, can purchase a drone for between R8 000 to R10 000 and shoot great quality beautiful 4k videos – easily, smoothly and cost effectively. This has paved the way for a wave of film makers to start living their dreams. So yes, if you compare drones to conventional helicopters or other large format aerial filming of days gone by, shooting with a drone is without doubt a far cheaper way of capturing aerial shots and getting a bird’s eye view. The ability has been put into the hands of many to shoot beautiful content with hardly any cost. Is South Africa keeping step with technology advances when compared to global trends? I believe South Africa is lagging in some verticals – this is most certainly true of the consumer market. We just don’t have the footprint of other countries and the local regulations have also stifled growth. The embryonic phases of drone technology were completely constrained and when the regulations came out in 2015 it had a very negative influence on the industry and stumped it for at least the first couple of years. Many aspiring filmmakers were reluctant to get started or just couldn’t start their commercial operations; the regulations were just too restrictive. It is regrettable, but, the landscape is changing and the flood gates have opened and I believe that moving forward, we will catch and keep pace with global standards. We are definitely behind but only because of the stumped growth in the embryonic phases. Drone regulation in SA – how do we fair? Make no mistake – South Africa has the strictest drone regulations in the world. On average it takes an operator in the region of two years to get a Remote Operator Certificate (ROC). The process for approvals is protracted and expensive. This barrier to entry is prohibitive. I believe that as an industry we need to collectively work on the regulations and make it easier to comply. In so doing we will nurture and promote the industry – all the while attracting a younger set of aspiring filmmakers to shoot without massive overheads and the time restrictions that come with getting a full blown license. On the flip side, when it comes to working on jobs abroad, the stringent confines of our regulatory environment work in our favour. When a registered South African operator works overseas – their accreditation and certification automatically validates them in that country. There’s no need for any proficiency testing; we merely provide paperwork. As with many accelerating technologies, it’s hard to say what the future holds; five years in this industry is an absolute lifetime if not two. But in general it can be predicted that the mainstream use and demand for drones will continue to rise and seeing Unmanned Aerial Vehicles (UAVs) in the sky will become more common place. As for specific projections, I believe range will be the next big thing to dominate the drone world: BVLOS – Beyond Visual Line of Sight. This speaks to the ability of drones to be flown at great distances from the operator and to fly accurately. We already have the technology now where directors, DOPs and creatives with no training can wear goggles and move the camera around by simply moving their head or arms by holding a handle bar. This means a significant barrier has been lifted for creatives with no training, to point and shoot the camera. I do believe a big issue to work on over the next five years is endurance – flight time. Drones require an enormous amount of energy to stay airborne which means heavy batteries must power the drone which counteracts their own endurance. In principle, most drones use half their power to carry the very batteries that power them. Fundamentally we need a device or system that makes the aircraft more efficient in the air – better battery technology and even solar power or renewable energy would work. Now that would make for great progress in the drone sector. Over the next five years, cameras, resolution, endurance, precision, ease of use, and safety will all continue to be areas for development. There has been definite progress in these areas over the last two years, but when all is said and done, I believe the most important focus areas that need development over the coming years are endurance and distance [range]. I don’t think it’s unrealistic to consider that soon, a director will be able to operate a drone from a completely different city, and be able to control it automatically without even laying eyes on the bird. What is Timeslice showcasing at Mediatech 2019? We are excited about Mediatech Africa and will be bringing our Glam Cam Rig – which is 50 cameras – a Sony RXO, 360 degree circular rig, which we have previously used at the SAFTAS and SAMAS. It’s a fun activation booth allowing people to get silly, have fun and be frozen in time. Although Timeslice technology was first made famous in the Matrix in 1999 – it’s a rework of that with many advancements and it’s now digital and able to spit out sequences every few minutes to the internet. On the drone front we are going to be bringing out some serious tech that’s well worth seeing. Visitors can expect to see our big drone Shotover U1, Lidar scanners and headsets. They will have the opportunity to operate cameras by putting on a headset so they can move the cameras around. We will fly aircraft outside and over the Ticketpro Dome to map and survey the area to create meshes and complex point clouds. We’ll also have a big screen outside so visitors can see a live wireless video feed from the cameras in action. Our smaller drones coming to the show include the Ari and red cameras flying on drones and Lidar scanners. This will allow members of the public to look into our programmable world where we programme complex flight paths and repeat moves. We will also have the Alta 8 Pro – the first one in the world that is the upgraded version of Free Fly Alta 8 with all the programmable components attached, which includes repeat flight paths, mapping, surveying, moves etc. In a nutshell we will have lots of cameras and scanners with wireless picture devices for Mediatech visitors to explore and experience first-hand. 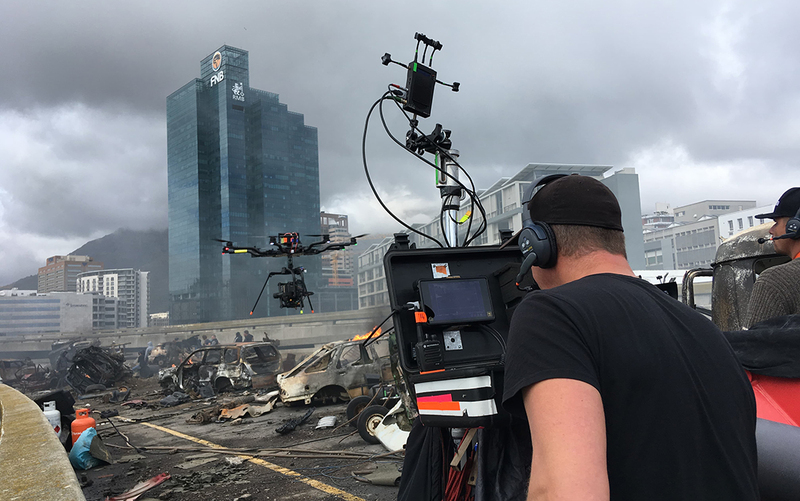 In 2017 Mediatech Africa introduced a drone cage exhibition for the first time – showcasing the best cameras and drones the industry had available, while leading operators discussed functioning within the current legislation and the impact of drone usage in film and broadcasting production. A hugely popular addition to the show – drones will be a big feature at the show this year. Mediatech Africa is on between 17 and 19 July – register before the 12 July closing date to avoid paying the R100 entrance fee. Find out more and register for Mediatech Africa 2019.